This infographic is a scale representation of our lakes and oceans, with an emphasis on how little we know about our oceans. 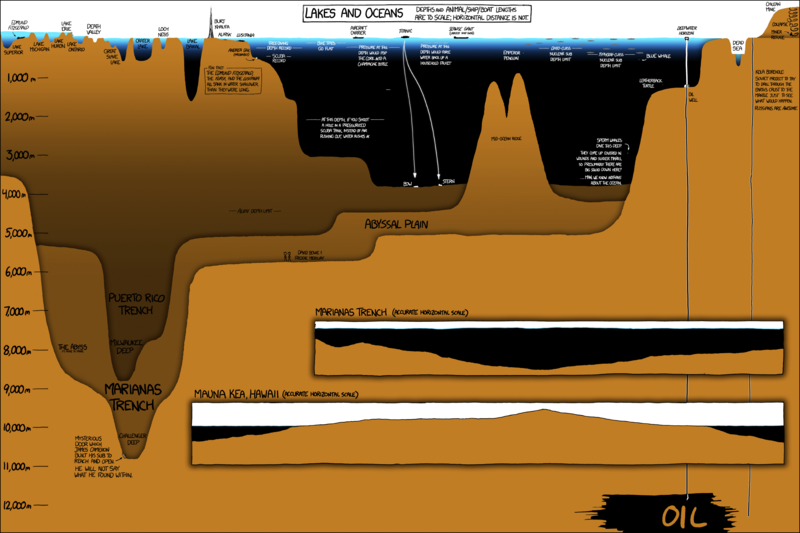 It shows the depths and lengths to in relative scale. SEE ALSO: How deep is the ocean?